Do you keep on navigating videos and tired of searching in different sites and not finding the required results? If yes, then Ashampoo’s Clip Finder is the most appropriate utility you are looking for. Its a free utility which allows you to search videos from almost every possible site, which helps you to provide accurate results within seconds. Its like a web browser on which you can navigate clips, videos in almost every format. It also allows you to download HD videos within few clicks. Installing Clip Finder is very easy as the program is compatible with all versions of Windows. The instalation process is completed within few seconds. Using this program is fun because of its user friendly interface. 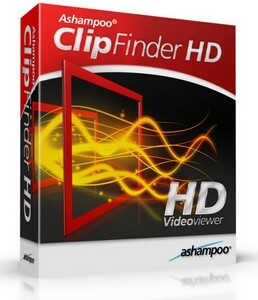 Ashampoo Clip Finder lets you search in as many as 15 video portals. It comes with other features such as multiple searches, click to play a video, double-click on the video to convert and save it in your hard disk and so on. You can even zoom the video while you’re playing it just by scrolling the mouse wheel, one more click plays the video in full-screen mode. Video Wall clip browser: Enables you to arrange your clips with the drag feature. One-click download and convert: Within a single click you can download the videos & convert while downloading the video. Search up to 15 video portals at once: Enables you to search in 15 different protals (YouTube, Vimeo, Spike, Veoh, Google Video, LiveVideo, Dailymotion, blip.tv, Yahoo! Video, Metacafe, MySpace, SevenLoad, MyVideo, videu and ClipFish) to give you accurate results. HD video filter: Filters HD videos from your search results. Brand New Video Player: Enables you to arrange your playlist with different exciting features & fullscreen mode.